The research undertaken by our researchers is making a difference. At the local, national and global levels, our research generates insights that help to address issues of social significance, inform policy and decision making, and support people, communities and the natural environment. Research Impact is defined as the demonstrable contribution that research makes to the economy, society, culture, national security, public policy or services, health, the environment, or quality of life, beyond contributions to academia. The findings from a PhD study undertaken by Dr Adrian Clements, under the supervision of Professor Max Finlayson, and Dr Daryl Neilsen (MDRFC), are being used to guide water regimes in Lake Brewster, in the Lachlan Catchment in central NSW. Using the findings regarding water regimes and vegetation composition, the Lachlan River Environmental Advisory group (EWAG) is continuing to work with Water NSW to adjust the water regime of part of Lake Brewster to increase the diversity of wetland vegetation, and to maximise the potential to improve water quality in the lake. The PhD study was done as part of the ILWS project Ecological responses of aquatic vegetation to the environmental water regime developed for Lake Brewster. Finlayson, M., Nielsen, D., Clements, A. (2012-2015) Lachlan CMA & State Water, $90,000. Our researchers are leading two major long-term projects monitoring ecosystem responses to environmental water in the Edward-Wakool and the Murrumbidgee River Systems, both in the Murray-Darling Basin. In 2016, they also played key roles in researching a major blue green algal bloom in the Murray River and the widespread flooding that occurred in spring in many parts of the Basin. The information they collect is providing immediate assistance to the the decisions water managers make on a day-to-day as well as to longer term planning and future management decisions. 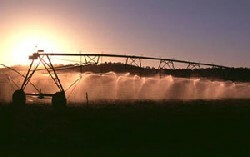 This work has been selected by CSU as one of its Case Studies "Water Ecosystem Health" as an example of Research Impact. Our researchers have been working with the Blue Mountains community to research community connections and document experiences since the 2013 bushfires. Key insights include the benefits of connecting organisations such as emergency services, councils and neighbourhood centres. Their research has resulted in the development of a Community Action Framework, accessible to other communities prone to bushfires and other natural emergencies, so that they also can better prepare. This work has been selected by CSU as pone of its Case Studies "Community Resilience" as an example of Research Impact. A PhD study by Dr Alexandra Knight on a vulnerable species Sloane's Froglet has resulted in not only better ecological knowledge about the species but also heightened community and local government awareness. As a result concrete efforts are being made to protect and conserve the species, found in peri-urban areas around Albury and Corowa, NSW. This include town planning to retain and protect habitat, wetland planting field days and a Sloane's Froglet education program for school-children. A brochure and habitat guide with management recommendations has also been produced. Our researchers, working in Laos on fish passage research in the Mekong River Basin, have worked with the Australian Embassy to produce a Policy Brief on Research Findings at the request of the Laos government to determine how research outcomes could be translated into new policy.The brief Incorporating fish passage in sustainable development practices and policy in Lao PDR outlines the potential policy implications on sustainable fisheries and irrigation expansion in that country. A Climate Change Adaptation Catchment Assessment Framework (CCA CAF) has been developed and tested as a planning tool aimed at catchment-level NRM managers. The tool has proved helpful to CMA project officers during a review of NSW Catchment Action Plans, allowing for the incorporation of climate change adaptation considerations into management activities within the CMAs' water programs. A PhD project studying Murray Crayfish has contributed to the development of new fishing regulations for the NSW Murray Crayfish recreational fishery. An ARC Linkage project (2011-2014) that investigated the factors that influence the success of private and community-owned Indigenous businesses across remote, regional and urban Australia has helped stakeholders better understand the challenges facing Indigenous enterprises in various geographic, economic and social settings. The findings have been presented to policymakers to assist in developing strategies to improve the uptake and success rate of Indigenous enterprises. Research projects funded by the Australian Centre for International Agricultural Research (ACIAR) in Laos and Indonesia have resulted in improved access to fish resources and wetland management, spreading income and risk from aquaculture, better pond management practices, more disposable income for households and increased support from government agencies. The on-going Reviving Regional Railways project has promoted a better informed debate on reinstating regional freight rail and presented a broader range of options than might have been apparent otherwise. In August 2016, seven years after supporters of the revival of the Blayney-Demondrille line first met, the NSW State Government announced that $5 million would be invested to reinstate the Maimuru (north of Young) to Demondrille (near Harden) railway. Under the NSW Government's Fixing Country Rail program, several million more dollars were allocated among smaller projects. The Blayney-Demondrille project stands out for the breadth of community engagement, including the ILWS seminar held at Blayney in 2013, as well as its level of funding. Community support for the project remains strong. ILWS researchers have developed strong partnerships with commonwealth, state and regional water management agencies and have assisted managers balance the multiple benefits of water and achieve enhanced environmental and social outcomes. A long-term partnership between CSU researchers, the Murray-Darling Basin Authority and Goulburn-Murray Water that examined ecosystem responses to variable flow releases from Dartmouth Dam has resulted in the development and application of new interim operational guidelines for Dartmouth Dam, the largest capacity dam in the Murray-Darling Basin. A four year project funded by the Australian Centre for International Research has assisted the Lao government to help farmers adopt ways of improving their livestock production. As a result of the project the livestock profitability of over 500 farmers has improved; there is a greater understanding by extension staff on how to tailor their approaches for different ethnic communities; and the Lao government and non-government project partners have taken up recommendations from the project. A three year collaborative project with researchers from CSU, Sunshine University, University of Technology Sydney and University of Tasmania has identified how to best engage and communicate with landholders to increase their participation in natural resource management. The project focussed on the Great Eastern Ranges where five distinct landholder types (quality operators, traditional farmers, retiree life stylers, professional life stylers and blue collar blockies) were identified. As a result, the Hawkesbury Nepean CMA has reviewed its communication strategy to better engage with the blue collar blockies, a much larger and more significant group than previously recognised. The researchers also surveyed all NRM agencies in Australia with respect to their communication practices, and trialled seven different communication campaigns with the aim of identifying which message/channel combinations were most effective at engaging landholders overall and in particular those landholders who were difficult to reach (absentee owners and life stylers). They found that using emotionally based treatments was very effective in reaching a range of different types of landholders. The research is expected to lead to a more 'tailor-made' approach by CMAs that will drive higher levels of engagement for groups of landholders that historically have showed low levels of participation.